The reactivation of the 2M’s AE2/Swan Asia-North Europe loop this week has poured cold water on plans by carriers to raise FAK rates. 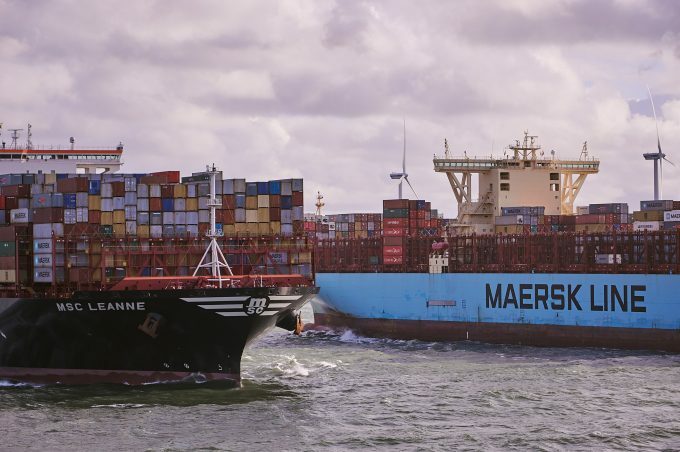 The lines were looking at an increase of around $200 per teu from 15 December, but the addition of 18,000–20,000 slots on the Maersk and MSC ULCVs seems to have put paid to any hope of a rate increase until demand picks up ahead of Chinese New Year in February. The Shanghai Containerized Freight Index (SCFI) this week saw North Europe spot rates edge up $27 to $774 per teu, while rates to Mediterranean ports were virtually flat, at $788 per teu. Nevertheless, Mediterranean rates are in a much healthier position than a year ago when they stood at just $600 per teu, and in the same week of 2017, the SCFI’s North Europe rate was recorded at $751 per teu. Alex Younevitch, managing editor of freight markets at S&P Global Platts, told The Loadstar this morning there were “expectations of a downward correction before the middle of December” on the North European market, as volumes and space utilisation decreased. “The demand rush prior to Chinese New Year is not expected to kick in until the last week of December,” said Mr Younevitch, who suggested that even the pre-CNY spike in rates in January “could be limited”. “Shippers are getting smarter and prepare for CNY by spreading their bookings before the peak,” he said. Meanwhile on the transpacific tradelane, after piling in an extra 22 loaders since October to meet demand from China-to-US shippers to front-load shipments ahead of an import duty hike – carriers are now in defensive mode. Spot rates on the transpacific have fallen significantly in the past few weeks, as Chinese exporters completed on their task of getting containers on the quay at US west and east coast ports prior to the proposed 1 January 25% levy on a wide range of consumer goods. Reacting to the softening in demand, carriers have so far cancelled six headhaul sailings in an endeavour to prevent a further slide in rates before a pre-CNY demand pick-up boosts rates. The SCFI this week recorded a further 7.3% decline in spot rates for the US west coast, to $2,030 per 40ft and for east coast ports there was a further slippage of 7.8% to $3,136 per 40ft. However, spot rates for the US west coast remain around 100% higher than the same week last year, while rates to east coast ports are some 70% higher. An eleventh hour deal was struck between the US and China at the G20 summit last week to postpone the 25% US import tariffs for 90 days, but there has been no sign of the trade war abating. “With the 25% tariffs on Chinese goods being postponed, shippers can afford to let the market cool off and see how the situation develops,” said Mr Younevitch.